Patch 4.3 may cause issues. Server migration complete. Now defaulting to HTTPs for better security. ﻿Welcome to WebDKP, a free DKP System for World of Warcraft. DKP, short for “Dragon Kills Points”, is a method of rewarding items to players in game based on their contribution. In general, users receive ‘DKP Points’ whenever they participate in raid or help the guild. They can then ‘spend’ these points when items drop during raids to purchase them. In this way, players who consistently help the guild can fairly earn items. 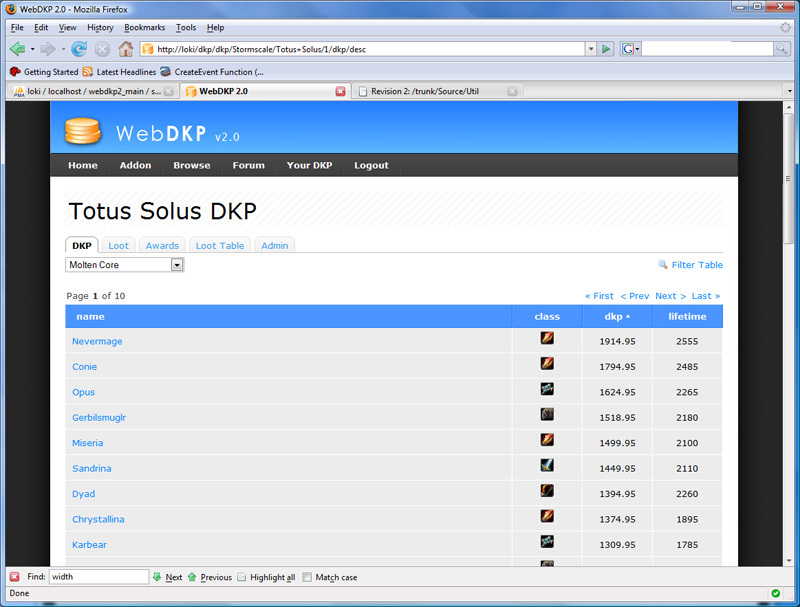 WebDKP is a free system that helps manage your Guilds DKP and makes your life much easier. It has two parts: an in game Addon for awarding and viewing DKP, and this site that allows you to share your DKP table online. The site and Addon are easy to use and can literally save hours of work. The service is provided for free and is supported by advertisements placed next to your Guild’s table. If you’re guild prefers, you can disable the advertisements for a small monthly fee. 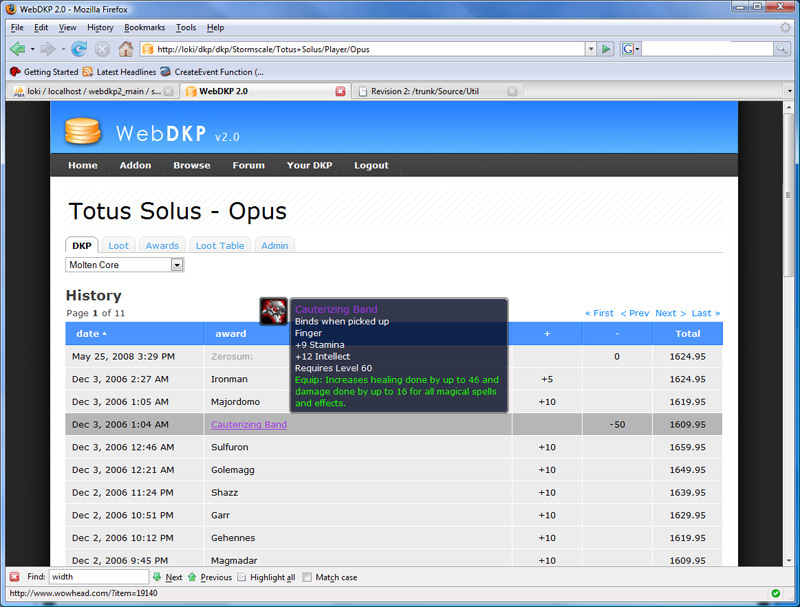 WebDKP has many features and is flexible to fit different methods of awarding DKP. Creating an account is quick and easy. If you’re unsure, you can also check out our demo table. 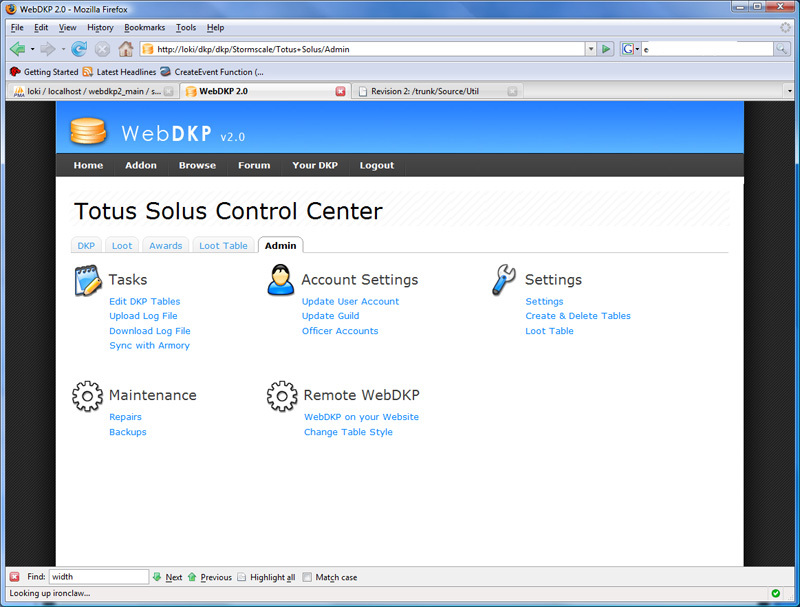 After creating an account, you may also want to check out our online tutorial that will guide you through many of the features of WebDKP. Enjoy!